The Station Master’s house stood within the railway sideings at Tilbury Riverside station. 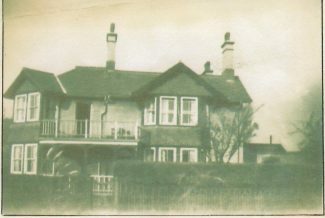 It was clearly visable from the arrol bridge as you came and went over the bridge; from my knowledge about it I understand Mr. Oliver Smith was station master there in the 1950s and the house was demolished in the late 1970s or early 1980s. There are some memories of the 1953 floods by Oliver Smith.